Hi Authentique Fans! I love this fun Companions Collection. I have the cutest little Yorkie Charlie and he is so spoiled, overweight and needs lots of attention. LOL I thought the Companions Collection would make a fabulous memo holder to place on my desk so I would be reminded how precious Charlie is to our family. 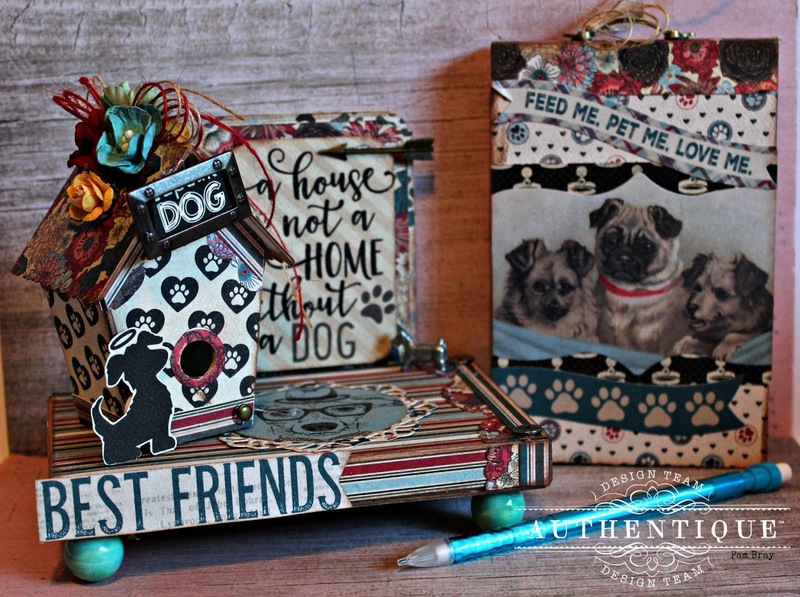 Begin by die cutting a small storage box from chipboard, cover with pattern paper. Ink edges. Cover a 4" x 6" Paper Pad with pattern paper; decorate front. Add metal handle to top of decorated paper pad. Tie twine to handle. Place paper pad inside prepared box. Add small beads to bottom of memo holder. Corner punch, ink, mat and adhere Epherema Card to back of prepared memo box. Add metal arrow to top. Die cut doily and circle punch image from pattern paper. Adhere to top of box. Die cut birdhouse from Companions paper. Adhere to top of memo holder. 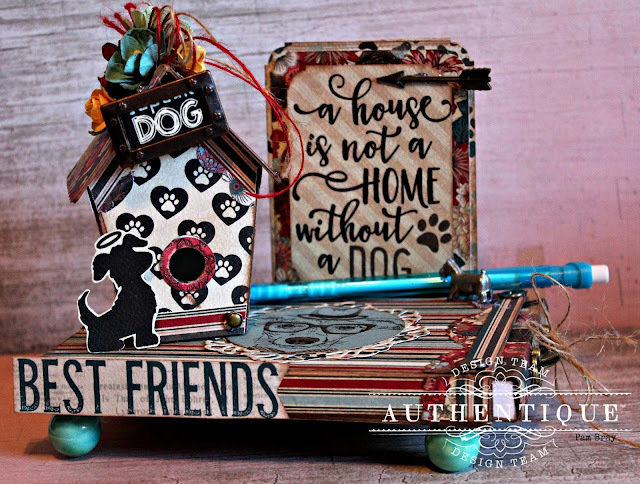 Frame the word "Dog" with metal frame; adhere to front of birdhouse. Decorate a fussy cut dog and place on front. Add flowers and twine bows to top of birdhouse.